The bride loved her dress so much she had it made larger than life for her Tulsa wedding. 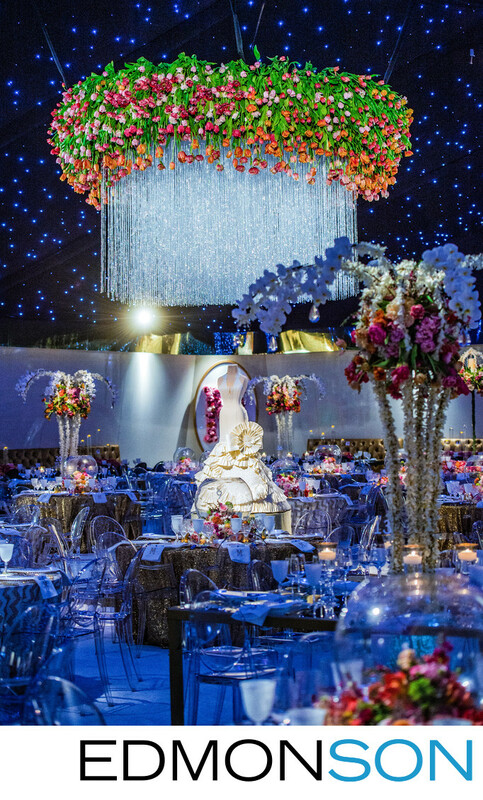 Nelson Robinson, the owner of Stageworks, designed the reception tent and used the wedding cake as the center of focus for the room along with a massive chandelier. Fiber optic starlight panels added a wonderful ambiance to the evening. The wedding cake is a 10-foot reproduction of her wedding dress custom made by Creme De La Creme Wedding Company out of Ft. Worth, TX. 1/125; f/5.0; ISO 1600; 70.0 mm.